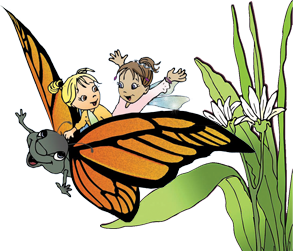 "Be My Friend" is the first in a series of fairy tale stories for kids following the adventures of the young fairy Princess Serena and her young human friend. In "Be My Friend? children will learn about befriending someone who does not have a friend and that friendships can come from the most unlikely circumstances and places. 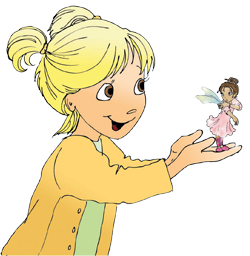 Thru these fairy tale stories young minds will be flooded with thoughts about what a young fairy's life is like, and your children will also be learning life lessons together with Princess Serena as she explores the world around her. The FREE fairy princess Serena friendship bracelet is also from the book, page 46. *ONE FREE Bracelet with the Purchase of a book. Take a moment to read an excerpt from “Be My Friend”. Wondering where to find a fairy? You must remember fairies enjoy nature. Click here for some helpful ideas. 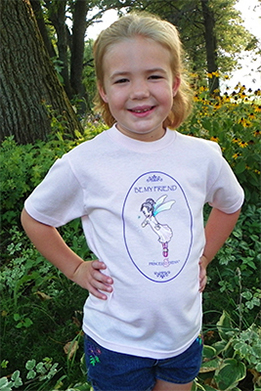 The perfect fairy princess t-shirt gift. The artwork is from her favorite book “Be My Friend”.